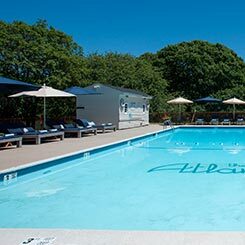 A Gateway to the Hamptons, the Atlantic Southampton Hotel, is a modern, spacious resort located in Southampton, New York. 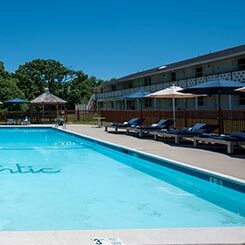 With 4 ½ acres of land to explore, the Atlantic features amenities including a heated pool, a beach volleyball court, and two full-sized tennis courts. The hotel lies on the border of the Peconic Lake and the historic Shinnecock Hills, home to the world-renowned Shinnecock golf course. 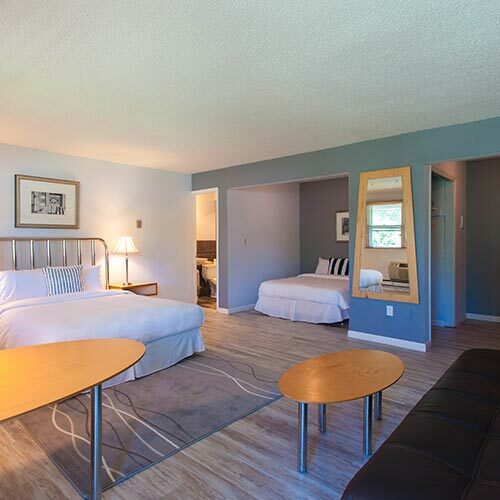 Our freshly-renovated rooms sport a beautiful coastal design. Anyone seeking a relaxing stay in Southampton need look no further than the Atlantic. The Atlantic is perfect for all who venture to The Hamptons for a beach getaway, to attend a social event, sport event or wedding. The comfort and charm of the property is perfect for large groups of family and friends exploring the Hamptons.